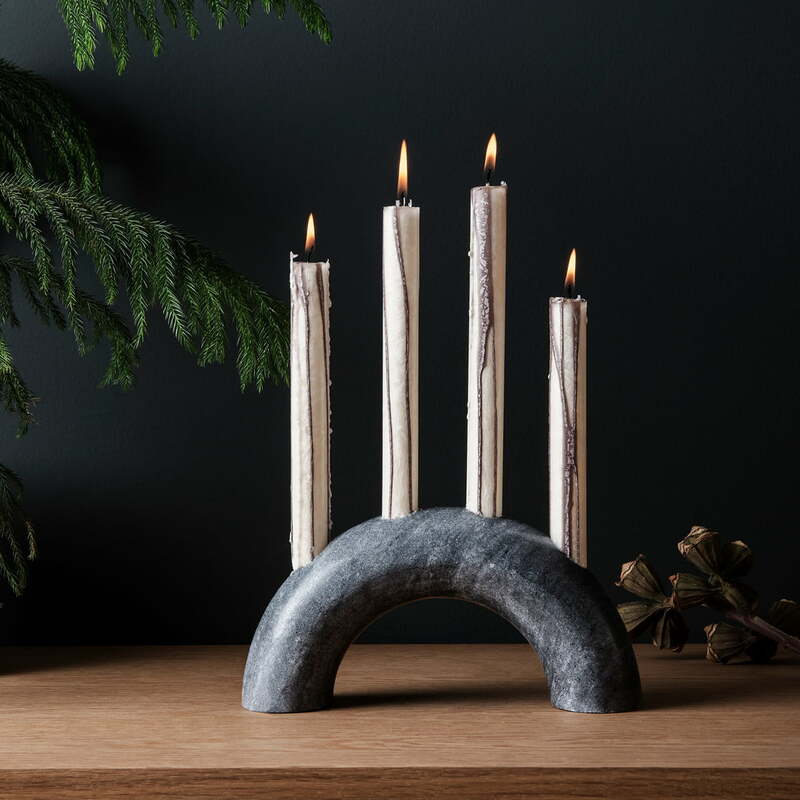 The Bow candleholder by ferm Living belongs to the Christmas collection by ferm Living and reinterprets the classic candleholder in a modern way. 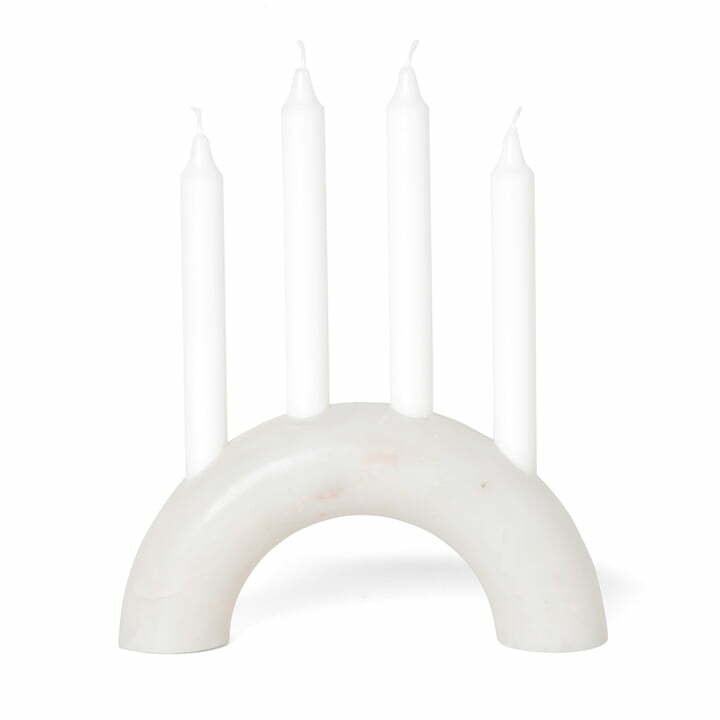 Its semi-circular arc shape holds up to four candlesholders, which makes the candleholder an alternative to the traditional Advent candleholder. 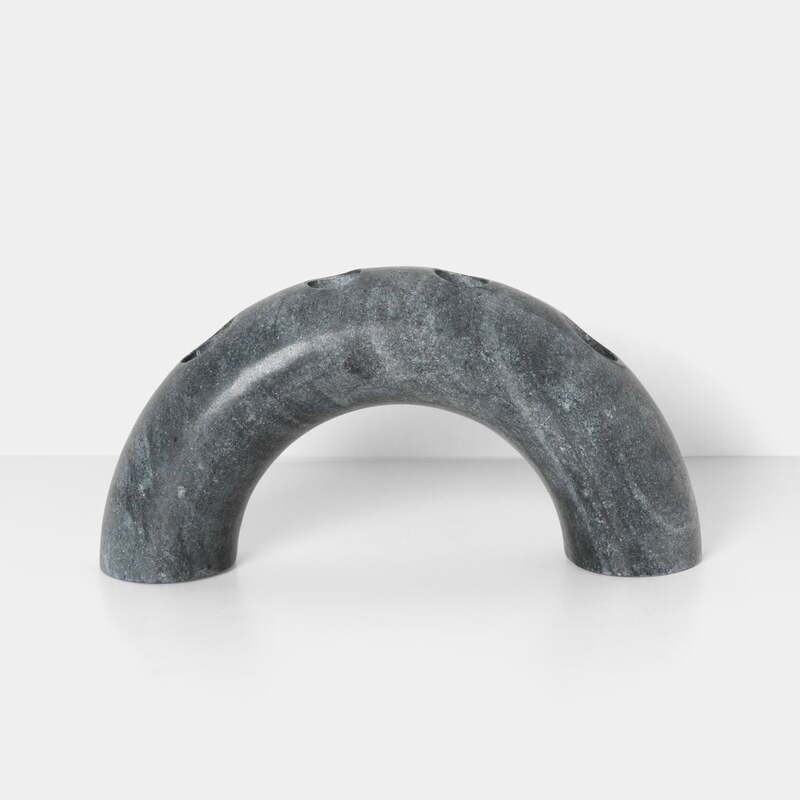 The Bow candleholder is made of solid marble in white or black. Its bulky appearance is relaxed by the semicircular shape, making the candleholder a decorative centrepiece on the dining table. Decorated with fir branches, it becomes a modern Advent wreath and replaces the classic candle arches on the windowsill. 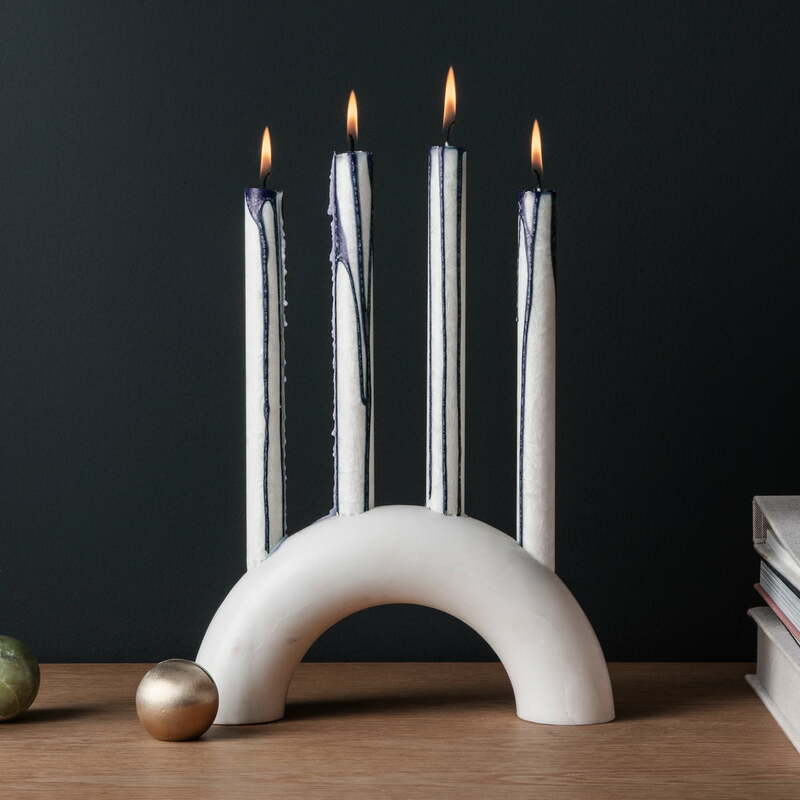 Thanks to its noble and timeless appearance, the candle holder not only looks good during Christmas, but also provides cosy candlelight in the living area throughout the year. Thanks to its noble and timeless appearance, the candle holder not only looks good during Christmas, but also provides cosy candlelight in the living area throughout the year. The Bow candleholder by ferm Living: Its bulky appearance is relaxed by the semicircular shape, making the candleholder a decorative centrepiece on the dining table.